Have you read about the European Union's new tax laws on digital products? Essentially the new law means that anyone selling digital products must remit taxes to the EU member countries whenever they make a sale to a buyer who lives in an EU country. This law applies to every seller of digital products, no matter where the seller lives, and there is no threshold allowing a seller to sell x-amount before needing to worry about those taxes. I don't have the resources (or the know-how) to comply with all of the ins and outs of this new law and selling through either Craftsy or Etsy would mean that I would be responsible for remitting those taxes, so I had to remove my patterns from both sites. Thanks to others in the quilting community though, I have found a new solution. Payhip.com is able to comply with the EU VAT laws on behalf of those who sell on their site (for a small percentage of the sale), so I have moved my patterns to my brand new Payhip store. 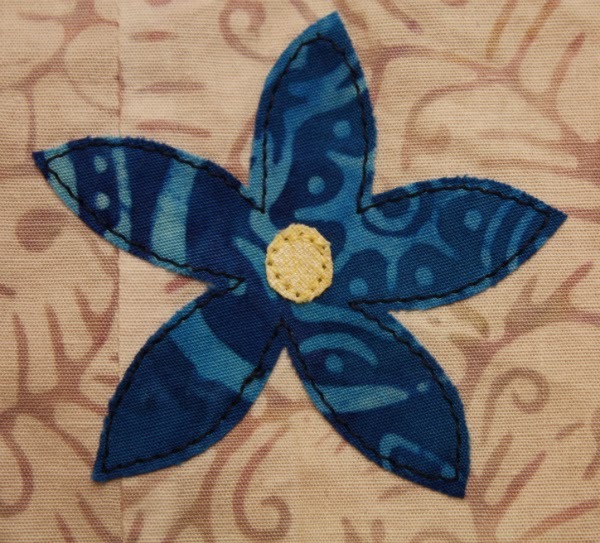 I hope you'll check out my new store at payhip.com/devotedquilter, or click the link at the top of the blog. I have some new projects underway this week. The first one is a quilt for baby Eli, my cousin's little boy. This quilt was supposed to be finished before he was born, but he's now a month old and the quilt is still not done. It is a finished top now, though, so at least I'm getting there! The quilt measures 40" square, so it should be a good size for him for tummy time on the floor, and for him to cuddle with as he gets older. I love all the fun fabrics in there! I planned it so that every second fabric is blue, while the others are just a bunch of fun, bright colours. Most of the fabrics were scraps, but I couldn't resist cutting into some new fat quarters for those really bright batiks, like the orange in the picture below. I have the batting pieced together from a couple of large scraps, so now I just need to pick up fabric for the backing and binding and I can get this one finished. The second project is the latest round of the Round Trip Quilts. 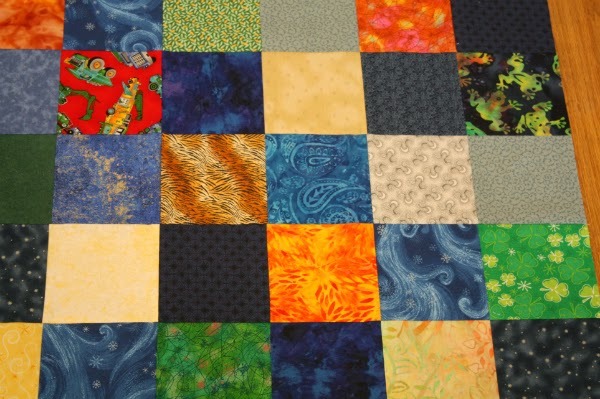 This quilt belongs to Heather, of QA Creations. Heather has named her quilt Wishes for my Daughter and started us off with the paper-pieced words representing things she wants for her daughter. 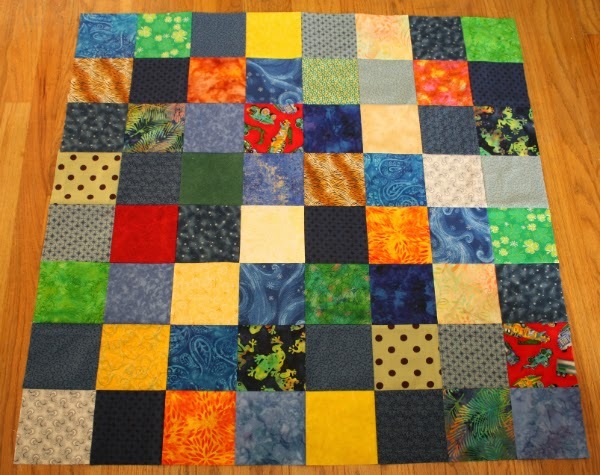 Except for the word I used in my piece, this is what Heather's quilt looked like when it came to me, after pieces were added by Liz (Green Cheese Quilting) and Jennifer (Never Just Jennifer). I knew I wanted to add flowers to the quilt, and when I saw the word 'patience' I decided to use it to make my section of the quilt. After all, growing flowers requires patience! While rummaging around in my very disorganized stash searching for fabrics that would work for the flowers, I found a few log cabin blocks left over from when I made my Scrappy Log Cabin quilt. These two fit perfectly with the colours already in Heather's quilt, so I added them to my plan. I cut out the flowers before supper, but then had to clear the table so we could eat and I didn't get back to work on this for a couple of hours. I noticed then that the paper peeled off the flowers very easily, whereas sometimes I find it's a real battle to get it to separate. Then, just before bed, I read a tip in Quilter's World magazine that suggested leaving your cut shapes for an hour to allow the glue to set before you peel the paper off. So is that why I often have such trouble getting the paper off? I usually just roll right along, cutting out the shapes and then fusing them in place right away. I love the little extra that the stitching adds to the flowers. 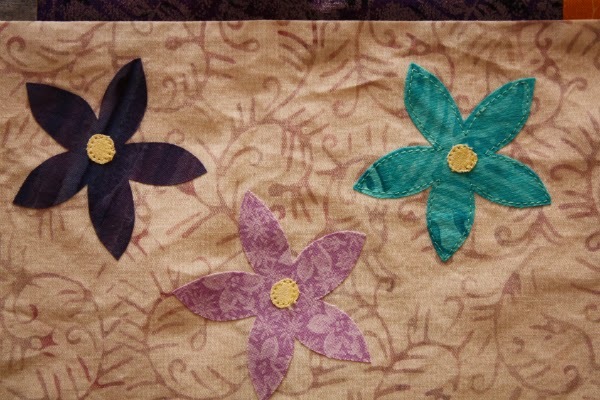 Unfortunately, I didn't think to check that I had purple thread when I picked out the fabrics for the flowers. I ended up with 6 of the 13 flowers being purple, and no purple thread. I picked some up this afternoon though, so I plan to finish those flowers once I finish this post. I hope to have a finish or two to share by the end of the week, and I still need to post my goals list for the first quarter of the Finish-a-Long. I can't win any prizes if I don't start out with a list!! You as a Canadian citizen can not be taxed by a foreign country! Neither can US citizens either by the way. It is the responsibility of the buyer (who lives in the EU) to pay those taxes. European government has no authority over other countries! I love how bright and blue the baby quilt is. Good luck sorting everything out. Hopefully someone will see sense and allow a threshold for this VAT, it is a real mess isn't it? Shall be watching with interest your experience with Payhip. Good luck with the Payhip. 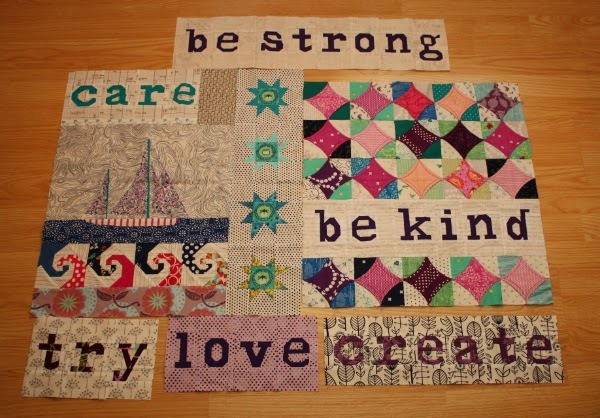 Your quilts both look beautiful, I especially love the Round Trip quilt, what a lovely idea for a quilt and it's coming together so well. I never heard that tip with the paper adhesive stuff before, so thank you, I'll try it out, I do often have problems peeling it off, you may have solved them all now!